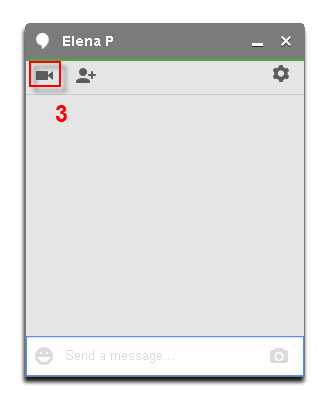 In this tutorial, we will step you on how to use Voice Changer Software Diamond 7.0 (VCSD 7.0) for changing your voice when you are on Google+ Hangouts. 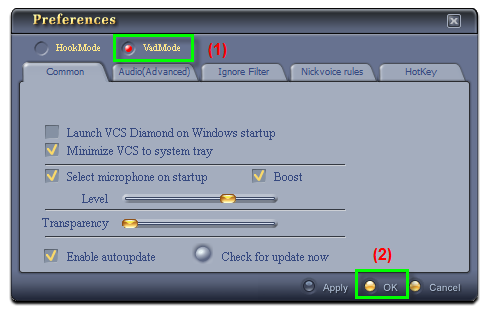 * AV Voice Changer Software 7.0 (All editions: Basic, Gold, Diamond | Compare all editions). Open VCSD 7.0, choose the morphing effects for your voice, and make adjustments until you are satisfied with the output voice. 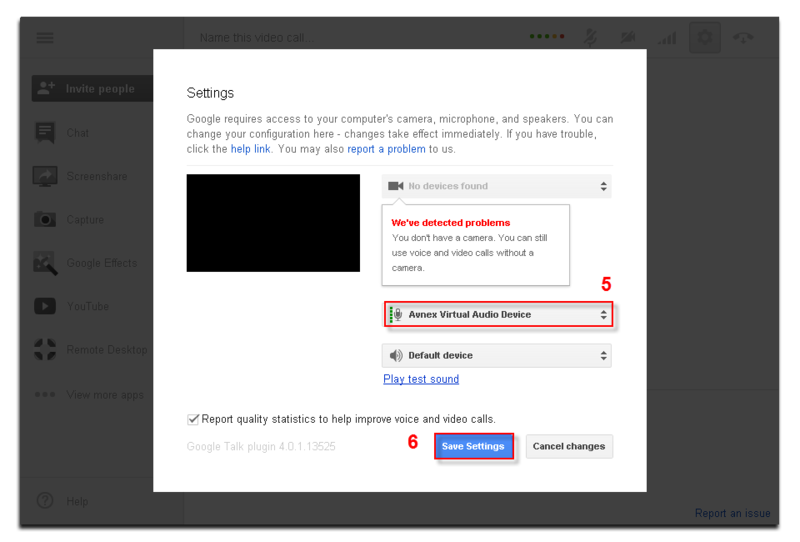 Note: You should have known how to change voice using Voice Morpher feature, and other voice changing tasks that Voice Changer Software can do. >> Turn your voice into voice of Optimus Prime Robot in Transformer movie? >> Or wanna make your voice sound like Darth Vader’s voice in Star Wars movie? 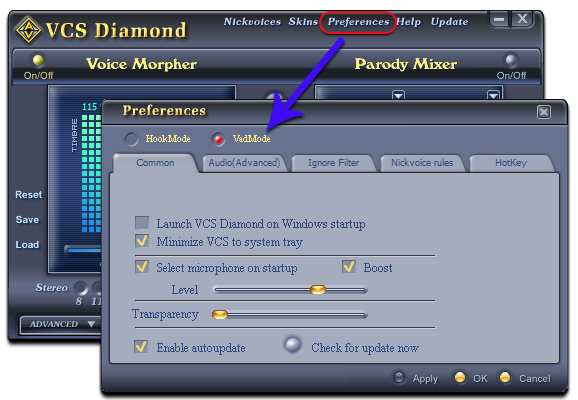 On VCSD 7.0 main panel, click Preferences to open Preferences dialog box. - Check on VadMode (1). 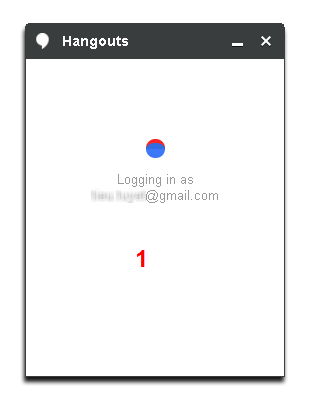 - After successfully log into your account, double-click a friend in your contact list (2). - Then click Save Settings (6) to apply the change and close the dialog box. 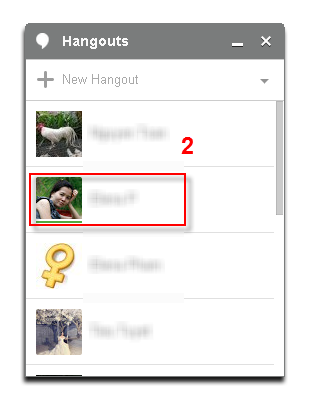 You can now start the voice chat session on Google+ Hangouts with your voice changed. Note: Please notice that as long as the Voice Changer Software is On, the morphing effects will be applied to your voice automatically. 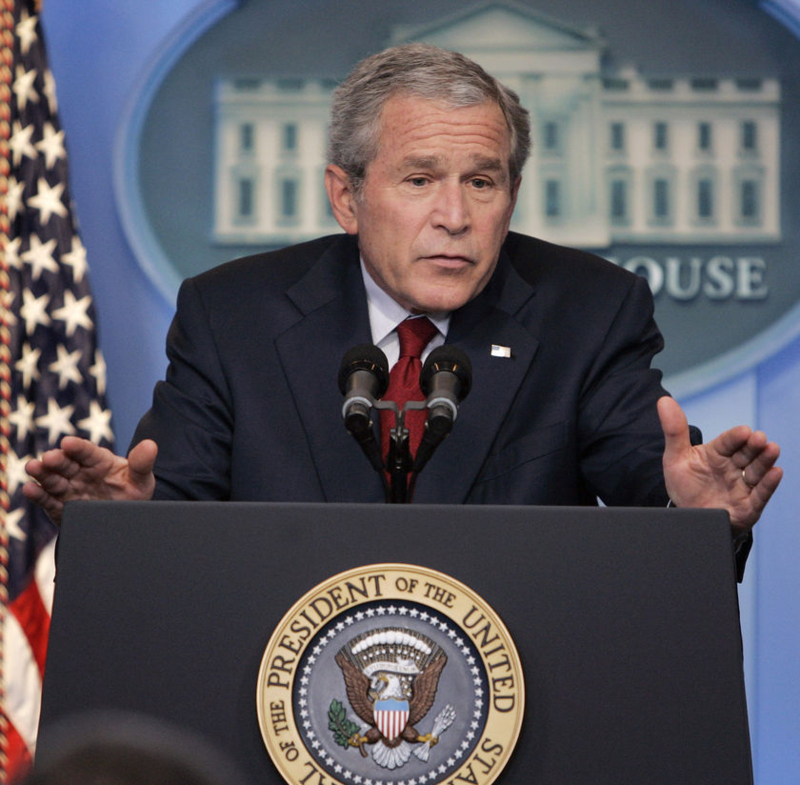 To be back to normal instantly, you will just need to turn the voice changer software.